This summer I'm happy to offer Family Summer Camps once again! Join me for three short-day experiences designed to better your family connection, communication, and address target areas for improvement. These camps are personalized for your family and will be experiential in nature - meaning we will be out and about in the Austin area, allowing you to practice new skills in real time with your family. Camps are appropriate for families with children ages 5 and up. Dates are flexible! ​Contact me today to learn more and schedule your own family camp! What can I expect from family camp? What issues are appropriate for family camp? Family camp is designed to be an interactive therapeutic experience. Your family will participate in activities and games designed to address your goals for your family. We will be in and out of my office to give your family ample opportunity to interact and practice new skills in real time, with the help of a therapist to navigate tricky situations. 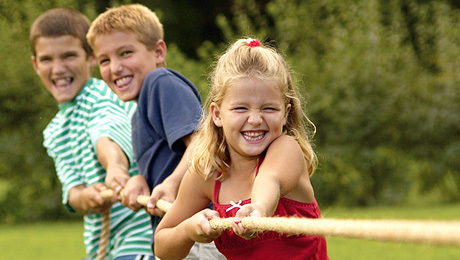 Family camp is perfect for families wanting to improve their connection and communication, address troublesome behaviors, or for families who might otherwise shy away from a traditional therapy setting. Families wanting to address dynamics related to addiction, abuse, or serious mental illness will benefit more from a traditional family therapy setting. Beginning June 1, the cost is $500. This includes three short-day therapeutic experiences (a total of 6 hours), lunch for your entire family during one day of camp, and one family outing. When considering family therapy in a traditional setting could cost $600+ for the same amount of time, this is a great value! ​A $100 non-refundable deposit is required to reserve dates for your family. Payments in installments are accepted, with any remaining balance being due by the first day of your family camp. This will vary case by case depending on your plan. Check with your insurance carrier to ask if you have family therapy coverage outside of a provider office setting. People wishing to use insurance will be balance billed for a portion of the camp, as insurance will most likely not cover the full cost. You may consider using your FSA or HSA funds. Please verify with your own FSA/HSA information that you may use these funds for this service as variations in rules may apply and I cannot be held responsible for misuse of funds. Contact me for a brief phone intake. We'll schedule dates for your family's camp session and I will send you a link to complete intake paperwork via a secure client portal. That's it! I'll see you at camp!